There is so much to do and see in Costa Rica. For those who are not into Bird Watching, seeing exotic mammals in the wild may be more your thing. 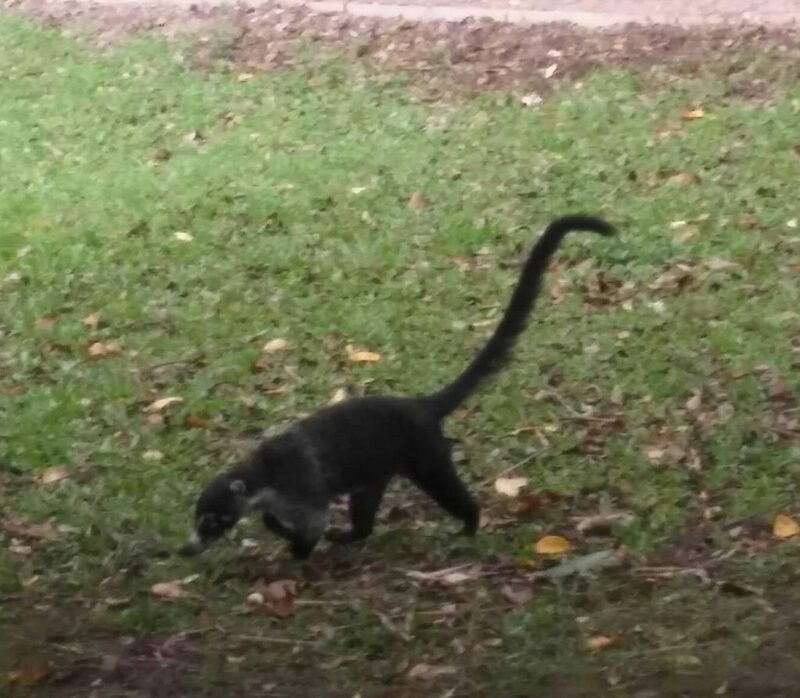 What happens when you are fluent in Spanish and your Tico friends tell you what animal you just saw (or took a picture of)? You end up learning the Spanish name for the animal, but may not even know what it is in English! Yes, this happens to me, so I am inserting pictures with captions of what they are in both English and Spanish. These are animals that we really saw and took pictures of. They are either my pictures or my traveling companion’s. 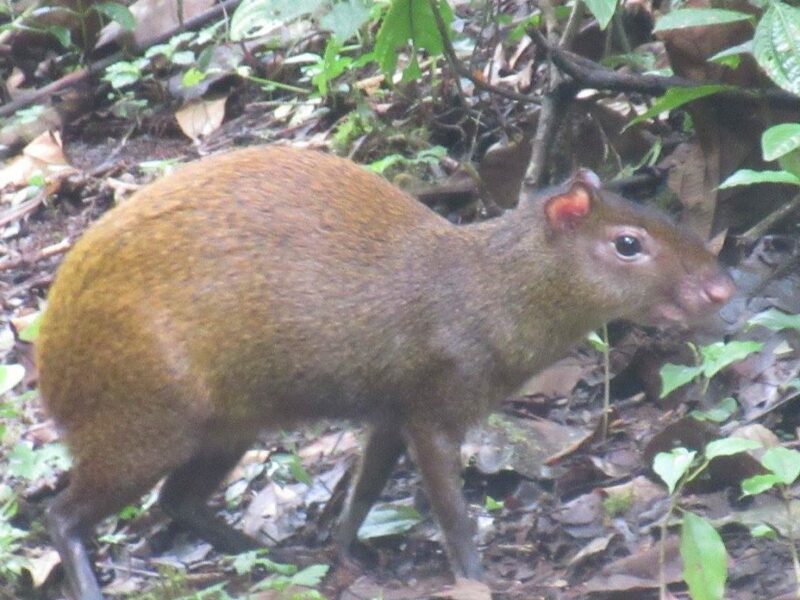 Guatusa in English is Agouti. 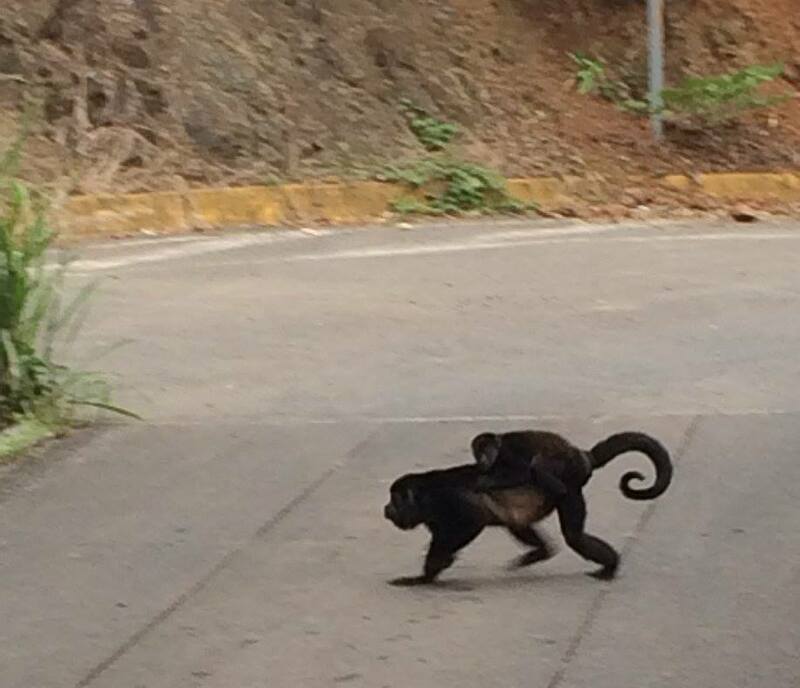 We saw this guy in Monteverde. My traveling companion encountered this guy when she was at Monteverde on a trail on her own. She didn’t know what it was, but snapped a picture anyway. When we showed the Ticos the pic, they told us it was a Pizote. That is Coati in English. 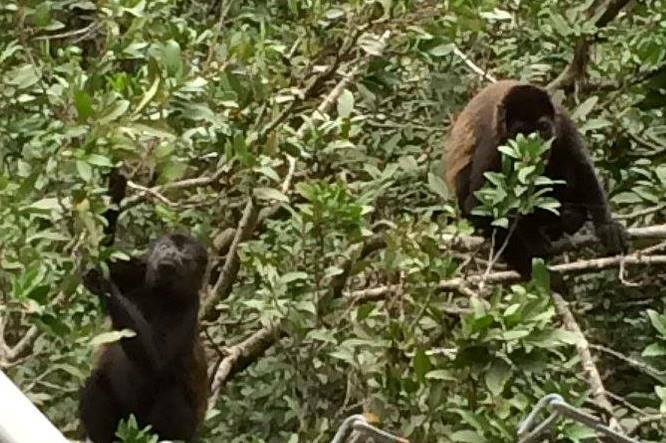 These Howler Monkeys or Congos were crossing the bridge as we circled Lake Arenal. Here are the Howler Monkeys in the trees. Cariblanco is called Capuchin in English. 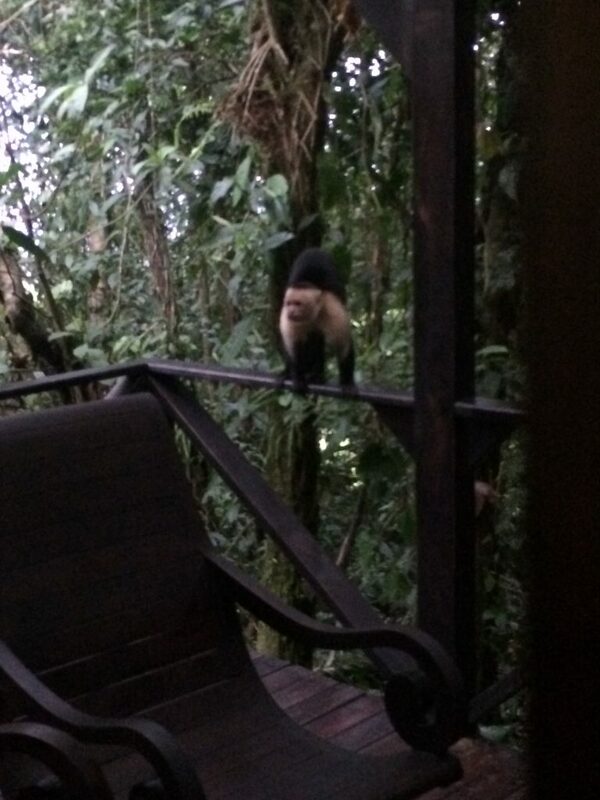 He came right up to the balcony at the hotel in Rio Celeste! 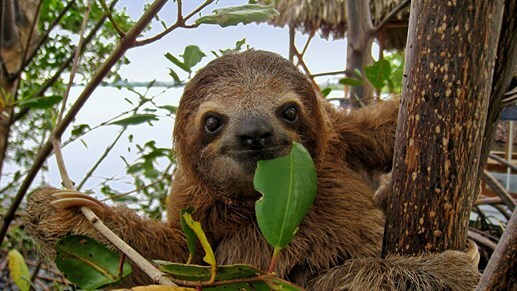 What I’m missing is a picture of a sloth – perezoso en español. I am hoping to see one in the wild, but if not, I can most likely get a pic when we visit project ASIS Wild Animal Sanctuary. So, I don’t have a picture of a sloth or perezoso. This will be a goal of mine on this upcoming Learn Spanish Trip this August. I am sure I can get a picture from the Wild Animal Sanctuary, but I’d rather spot one in the wild. . . If you’ve been to Costa Rica and got some great photos, post them in the comments below.